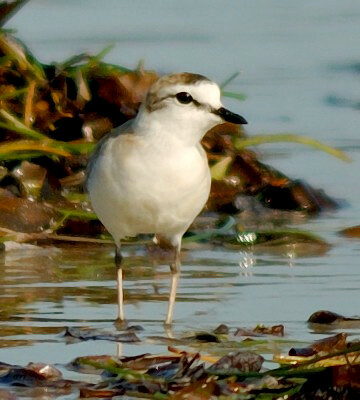 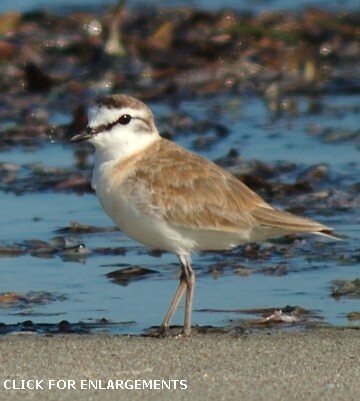 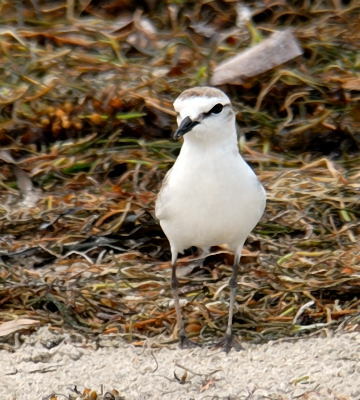 The white-fronted plover is similar to Kittlitz's plover except it is paler and has a white forecrown. 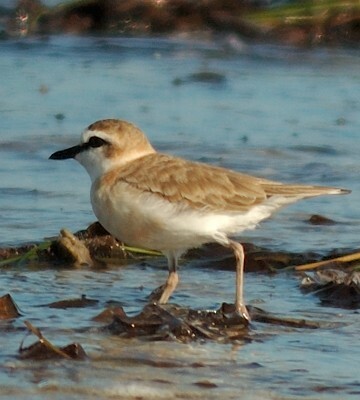 The non-breeding female may not have any black and the immature also has no black on the head but does have buff-fringed feathers. 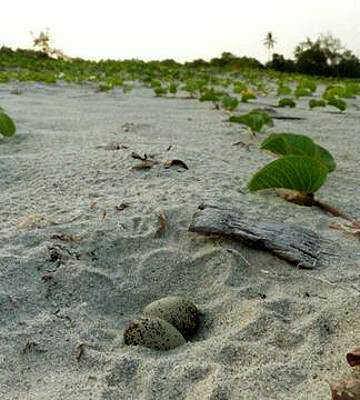 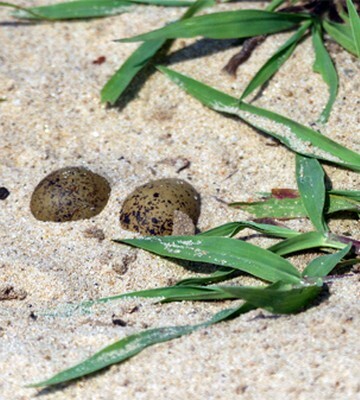 The eggs were photographed in Selous (left, 9-10, courtesy of Paul Oliver) and Ushongo (7-11, courtesy of Colin Beale). 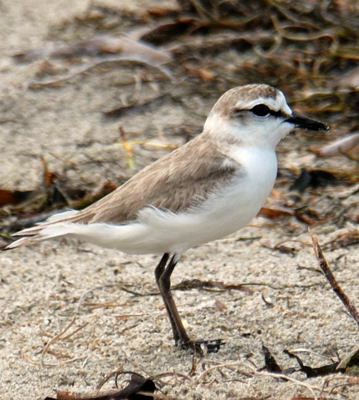 Click the photo above to see several enlargements.